Draw no bet often has a lot of appeal in a match as it gives you that extra safety net. After a chat today we thought Stoke looked a decent price at home to Bournemouth and although we did fancy the win the draw no bet just gave us the extra security we like. When placing that sort of bet it pays to look around at the various options to get the best price. So we can get a better price on the Asian Handicap than draw no bet. There is also the option of putting this together yourself. The final option is to do it yourself and back the home team and then the draw to cover your stake in it. To work this out you can use this draw no bet calculator and the best price for the Spurs win was 2.25 and the draw was 3.75 so if we had £10 we would put £7.33 on Spurs and £2.67 on the draw and doing this would give us odds of 1.649 which beats both of the prices above. It pays to shop around and there are some great resources on the internet to help you. Yet again the do it yourself option is the best. There is obviously a time issue doing this as you need to place 2 different bets with 2 different bookmakers but if its a big bet once in a while its worth doing. Now we just need Stoke to win! Marcos Silva’s Watford host Arsenal on Saturday and are available at 5.5 for the win. Watford were smashed by Man City last home match but drew with Liverpool before being held at home to Brighton. Arsenal themselves got smashed away to Liverpool and also lost at Stoke with their only point from the draw at Chelsea. All stats are available here. Silva had a 41 home match unbeaten run for his teams at home and Hull were awful before he arrived and actually game them some hope and belief. His 9 home matches included 6 wins, a draw and 2 losses, one of which was to Spurs when they were relegated. If you had bet £10 on the home win in each of his Hull matches you would have ended up £120 better off. Not quite sure how Arsenal are so short in a tough match. No games tomorrow as it’s Christmas Day but the madness of English football and the festive period starts on Boxing Day. 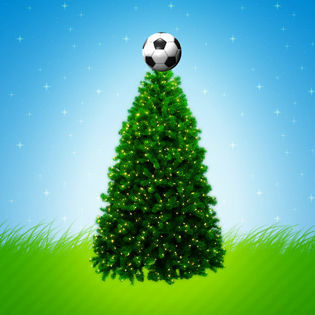 We’ll keep the site up to date and Merry Christmas to our users from the Simple Soccer Stats team. In the week we posted this about the Club World Championship and it took a late goal by Real Madrid to secure the 2 goal victory and therefore any stake on Real Madrid -2 on the Asian Handicap was returned. They play again today and you have to go back 11 matches to the final in 2009 to find the last time a European team did not win by 2 goals or more. Since the change of format in 12 of the last 13 matches the European teams have shown the gulf in glass in this tournament and won by 2 goals or more. The price on the Asian Handicap for Real Madrid -2 is around 1.8 and really looks a solid bet based on that stat. When betting on football one of the hardest things is riding the losing runs. There has been a lot written about that kind of thing and last year a few of us in the office read Trading Bases by Joe Peta which is a great story of a year betting on Baseball. It’s a very interesting read and talks about the ups and downs and nearly got some of us interested in baseball. The reason we write this is because we have been following a system for a number of years and it really was struggling. We’ve written about it before and we call it Island Hopping and involves backing certain teams based on Islands in European Leagues. Things always change and you start doubting your ideas and second guessing yourself but handily we kept the stakes high and last Friday night were rewarded when Maritimo won at home to Benfica at a price of 10.0. Such an enormous price for a home winner and highlighted again to us the importance of discipline and belief. It’s a great system again!